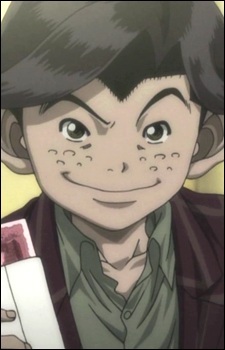 Maeda Noboru, age sixteen, nicknamed Suppon (Turtle). He has been detained for theft, con, dine-and-ditch, and many other crimes which could not be fully investigated during his detention. Maeda is one of the seven protagonists in RAINBOW. He is the smallest guy in the group and the most cunning in the team. Other than An-chan, he seems to get along with Jou best, most probably because of them being same aged and both being orphans.